Sport Langer fitness equipment is made of selected woods. The Sport Langer fitness wall is a multi-gym of a special kind for use at home. The fitness wall adapts decently and classicaly to your living ambiance and convinces by its high flexibility and variety of exercises. The Multi fitness wall includes a wall bars, an integrated bench, and an expander. 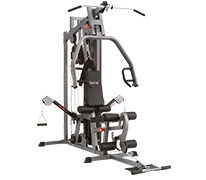 The equipment of high-quality workmanship is ideal for different exercises like sit-ups or rowing exercises. Important: mounting only on walls able to take a load !